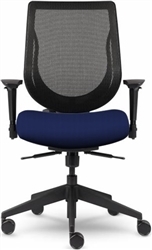 The YouToo Mid Back task chair offers revolutionary support to “ALL of you”. 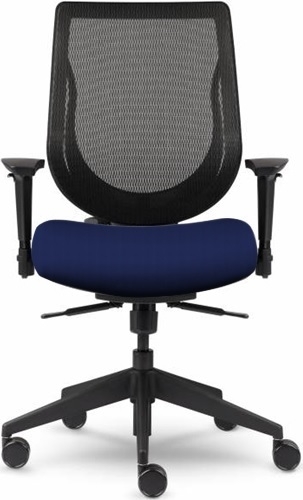 With a back that raises and lowers to provide the ideal lumbar support for its user it totals to a 3.54” travel with the dial and Back Height Adjustment Mechanism combined. Available in 2 frame finishes: Black or Smoke. Also available in High Back. Multi-function arms available in Black only. 10 year comprehensive parts and labor, with weight limit of 325 lbs. 24/7 warranty offered on models with T2 arm and Seat Slider.